When it comes to starting a new kitchen remodel project, you have plenty of options at hand and numerous free sources of inspiration that could guide you towards fabulous results in no time. This is precisely why you should become extremely demanding and see the bigger picture, by going beyond the obvious aesthetic benefits. If you are on a quest to design the perfect kitchen cabinets, keep in mind that eco-friendly alternatives are considered must-haves at this point for all the right reasons. Contrary to what some may be inclined to think, these products aren’t being manufactured just to please tree huggers and respond to their eco-conscious design choices. A brand-new, greener custom kitchen cabinet may not help you save an entire forest, but it will definitely enable you to breathe cleaner air and reduce the amount of toxins that may put your general state of health on the line. Now you can actually explore all these advantages, without making any quality compromises. 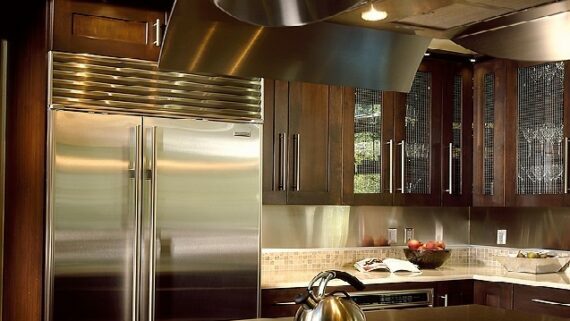 Here are 3 awesome kitchen cabinetry ideas that could that are good for you and also for the planet. OK, you may love the smell of brand-new kitchen furniture, but do you actually know where the wood that was used to manufacture it is coming from? A Forest Stewardship Council (FSC) certification gives you the certainly that the wood that you are brining inside your home in the form of awesome-looking cabinets was responsibly harvested. Buying FSC-certified wood discourages illegal logging and allows you to protect vulnerable ecosystems. 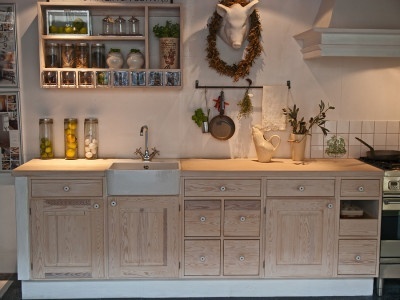 If you want to personalize your kitchen and make sure it tells a unique, intriguing story, you can create your own custom cabinets by relying on salvaged wood. There are numerous ways in which you can incorporate this original material into the design theme of your home, in structural elements (doors, flooring, wall treatments and beams) and even in trendy furniture applications like dining tables, desks, mirrors, headboards, kitchen islands and shelves. For instance, old barn doors can be used to build amazing, old-looking rustic kitchen cabinets. The reclaimed barn sidings ensure an attractive weathered look that cannot be achieved with contemporary finishing methods. 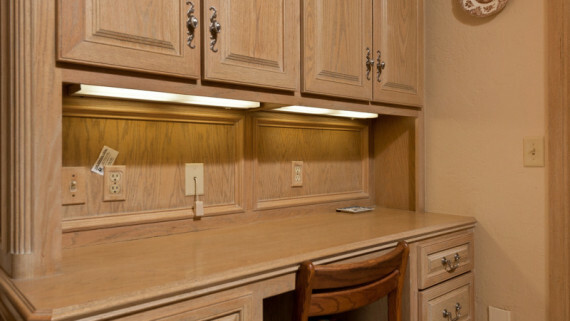 So if you feel the need to go back in time by remodeling your kitchen, consider opting for cabinets made from old, salvaged wood. Its imperfections will individualize your kitchen space, while reflecting your good taste, originality and eco-friendly attitude. Think outside the box and your design efforts will be repaid almost instantly. Once you have chosen the perfect materials for your new custom kitchen cabinets, make sure you opt for no or low-VOC finishes. VOCs (volatile organic compounds) represent potentially dangerous chemicals emitted by certain materials. 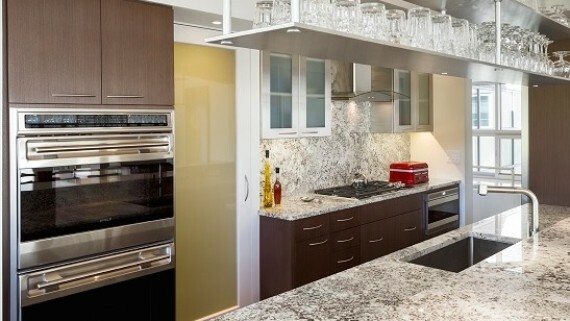 If you are determined to include only the safest products in your kitchen remodel project, consider investing in water-based premium finishes certified by Green Guard or Green Seal, two well-known independent organizations that approve and list a wide range of building products with reduced chemical emissions. If you care about the planet and wish to improve your indoor air quality, you can attain your goal by simply following these 3 suggestions. In case you need more info to make an educated decision, just give us a call at 1-800 876-0075 and we will help you discover the most inspiring design ideas for a greener, cleaner, brighter kitchen. 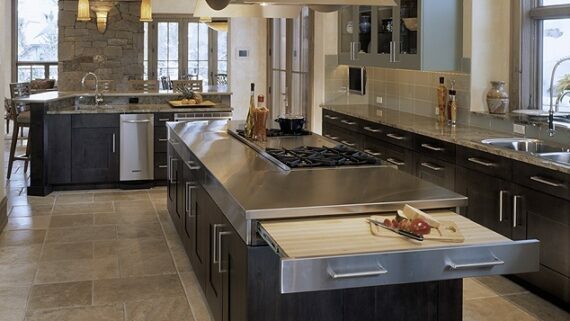 Robin Slattery is a Certified Kitchen Designer (CKD) with over 22 years in the Cabinetry Design Industry, and is a member of the NKBA for over 20 years. Robin has owned Modern Kitchen Center since 1998. Robin’s award winning designs have been recognized by several National and Regional design contests.